Some quick picks from the Amazon pack. This is gonna have to do for now. Forgot Colorsoner started this thread first. For now this will have to do. Nice pics! I can't wait to finally get some of these. Reverse sun tan on that new Roadblock. 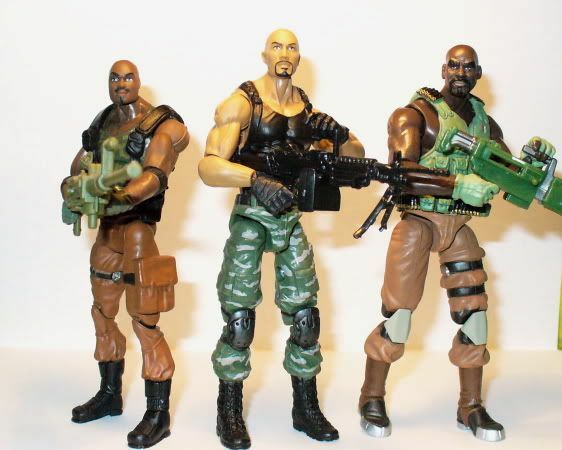 Roadblock is not a ninja, he along with every other Joe was trained by one... Snake Eyes. 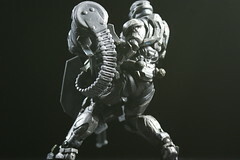 Roadblock cannot defeat Snake Eyes, nor can any other Joe. He's playing the Blind Master, right? Just scrape off the text from any stand. It's not like he's going to be reading it.